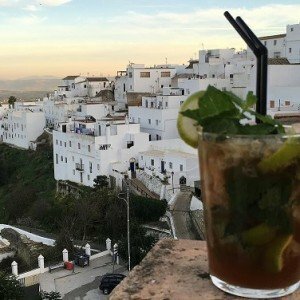 Why is Andalucia so special? Andalucia, one of the most spectacular lands on earth, captured my heart and my taste buds many years ago. It’s filled with glorious landscapes, mountains, forests and beaches. It oozes deliciousness in the form of fish, meat, cheese, olive oil, fruits, vegetables and wines. It is steeped in history and exotic tales of Phoenicians, New-World discoveries, Romans and of being under the rule of the Moors for centuries. 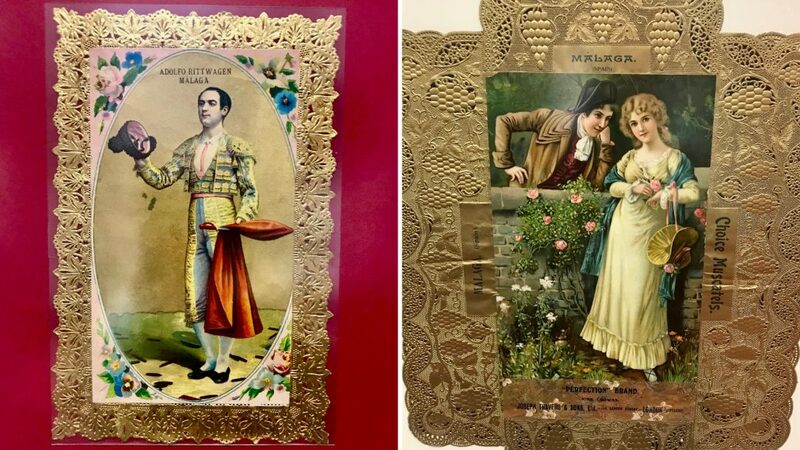 All these multicultural influences have shaped this land bringing wealth, poverty, hardship and joy. But throughout, the spirit of Los Andaluces still radiates through their love of family, friendships, food and flamenco. The province of Cadiz, and in particular Vejer de la Frontera, is closest to my heart as it offers everything my love of Andalucia thrives on. However, when I was approached by Tasty Andalucia, a government initiative to promote how delicious Andalucia is, to learn about the delights of ‘Andalucia Oriental’, wild Toros couldn’t have stopped me accepting such a great invitation. The brief description was that we would be visiting Malaga, Almeria, Granada & Jaen in 4 days… it was enough to convince me. You can find out more about Tasty Andalucia by visiting their website. Find additional links at the bottom of this article. 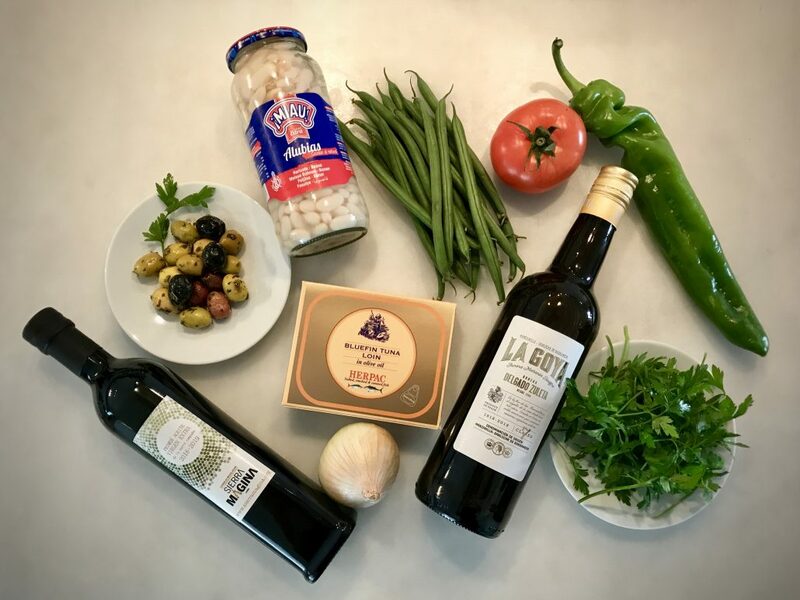 You’ll no doubt have heard that the ‘Mediterranean diet’ is the most healthy way to eat; due in part to the local production of nutrient-dense foods that are cultivated from rich lands, seas and mountains, in an ideal climate with many hours of sunlight. Together this provides exceptional conditions for providing a rich diversity of agriculturally produced food. That’s why when you leave me after one of my cooking experiences, you leave feeling great because of the quality of everything you’ve consumed! It could be referred to zero miles or slow food. What is a Denominacion de Origen (DO) and what does it mean? 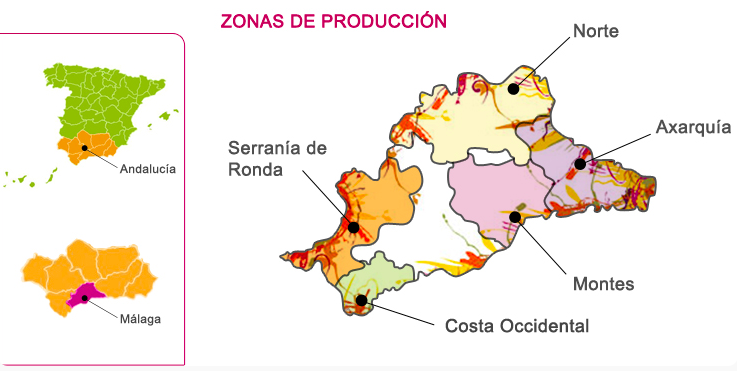 Denominacion de Origen (the French equivalent is A.C. Appellation Controlee) is the name of a geographical region which designates a product as originating from that area, and whose quality or characteristics are due exclusively to the unique geographical environment (terroir), including both the natural and human factors involved. It acts as consumer protection, governed by the Consejo Regulador of the DO, to ensure that producers abide by strict criteria to guarantee authenticity and quality. 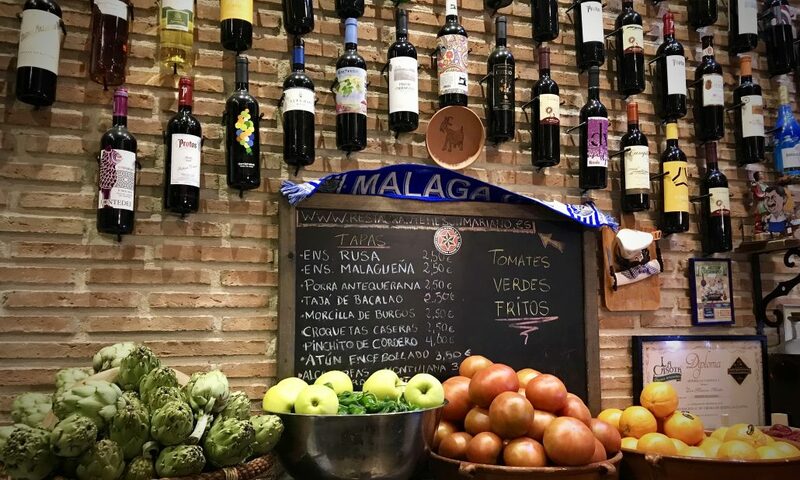 So that you know what you’re getting when you buy, Spain has DO’s for food as well as wine. Food products such as Jamon, Olive Oil, Vinegar, Smoked Paprika, and Malaga raisins too! 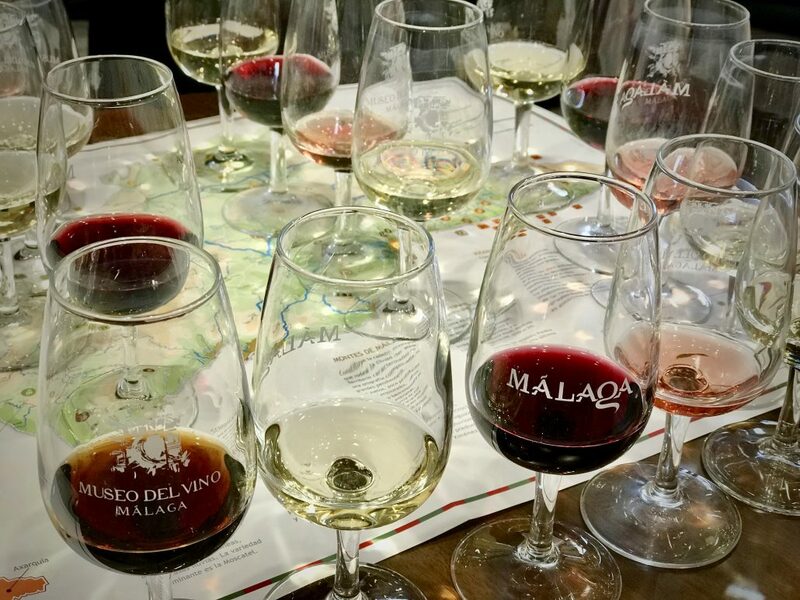 Can you think of a better way to start a Monday morning than with a visit to the Wine Museum of Malaga? This charming museum in the beautiful Plaza de los Vineros showcases, amongst other things, a tremendous exhibition of label designs for both wines and raisins through the centuries. This aspect really intrigued me. The beauty of boxed raisins and the work and love associated with great raisins. We were guided through the rest of the museum, learning about the wine production development, soil types and grapes. Our visit ended with a spectacular tasting. 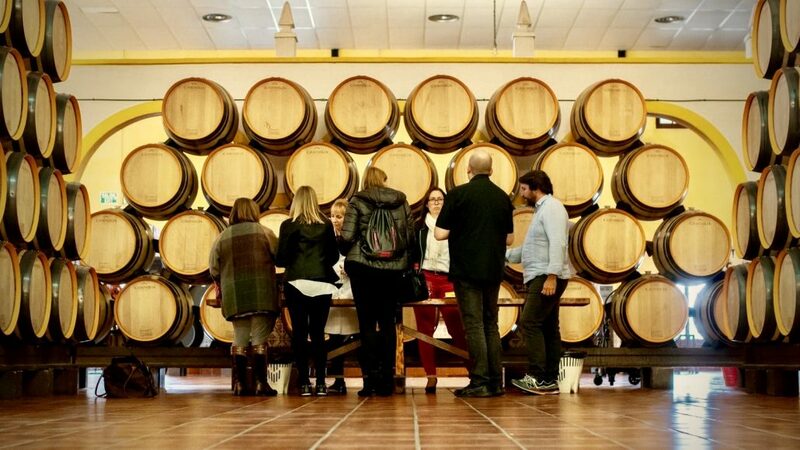 In the afternoon we visited the family-run Winery Quitapenas, established in 1880. 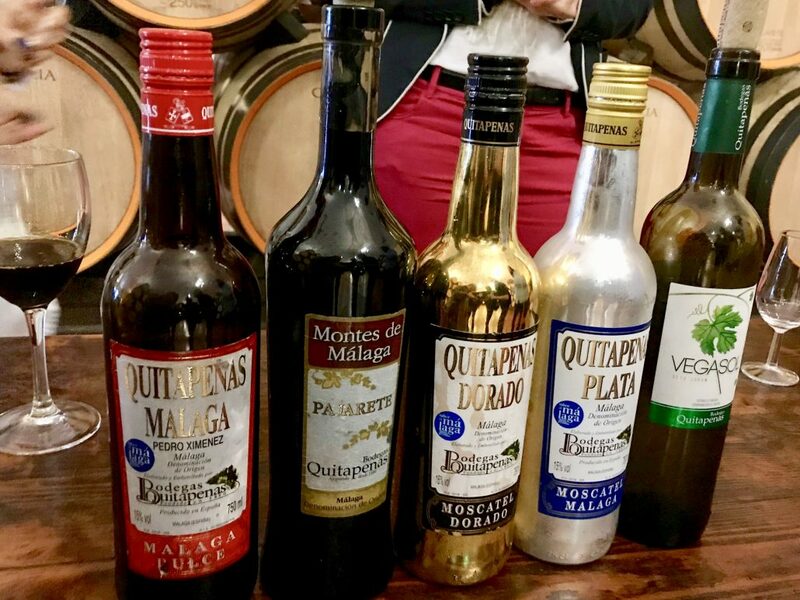 I’ve always seen these distinct looking bottles as I travel in and out of Malaga airport but have never regarded them as a wine of quality… until this moment! 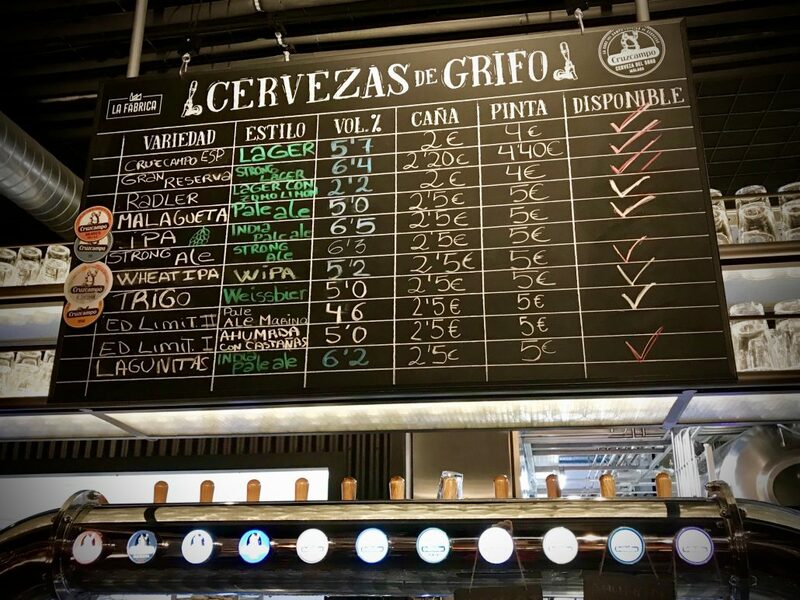 A very unexpected bonus and one of the highlights of the trip was an evening exploring the trendy, arty Soho district of Malaga and discovering the Cruzcampo flagship brewery & gastronomic space where we tasted a beer designed in conjunction with Angel Leon, Andalucia’s only 3 Michelin Star chef. This unique beer was brewed using plankton, sea water & Moroccan lemon paired with olives stuffed with anchovies, it was a taste sensation!